Walt and Roy: True Brothers! In all of the stories I have heard about how Walt Disney began his business, his brother was always a part of the equation! Roy Disney was a money man! He knew how to make a dime seem like a dollar and he also knew how to raise the funds needed for any project Walt could come up with in time. 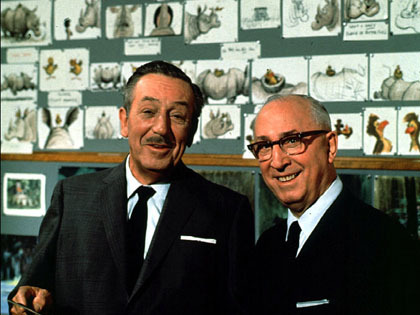 One of the stories I have heard says that at one point, Walt looked at his brother, Roy, and said just make it happen! Walt was a dreamer and Roy was a doer! As much as we owe our thanks to Walt Disney for dreaming up all of these ideas that we, as Disney enthusiasts, get to enjoy, we owe Roy O. Disney thanks for helping those dreams to become reality! Especially after Walt’s death on December 15, 1966. After much debate, and deliberation, Roy Disney agreed to step up and finish “The Florida Project”! He brought together the right team of people to get the job done, and WOW, could they build! 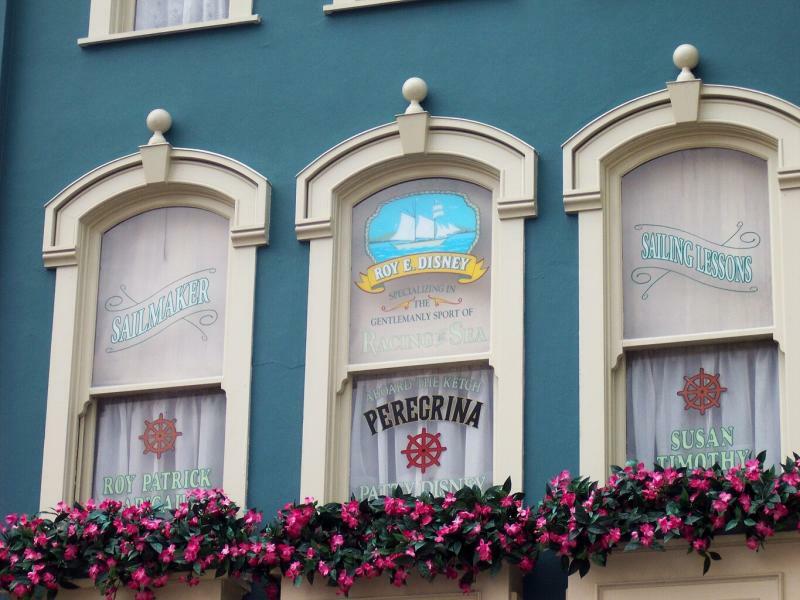 Roy has two remembrances at The Magic Kingdom. One is a bench in Town Square that portrays Roy seated with Minnie, and the other is in one of the windows on the second floor of a building on Main Street U.S.A. Make sure to look up and pay a moment of tribute! Without Roy, there may very well have NEVER been a Walt Disney World! Roy is definitely under appreciated. When last down at WDW I saw so many people who wanted to pose with “Walt” on the bench for a picture. Couldn’t help but tell quite a few of them who Roy was and why he is so very important.